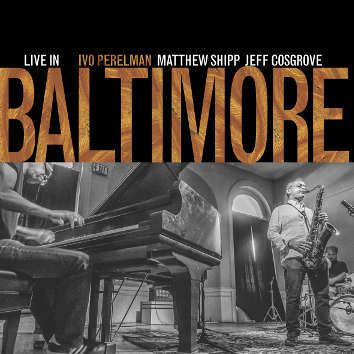 Live In Baltimore constitutes one of the very few in-concert recordings in Perelman's huge catalog. Most of Ivo's CDs have been recorded in the studio. This set took place at An Die Musik, a small performance space for jazz, world-music, and classical concerts in an historic Baltimore townhouse. It has an excellent piano and has 75 armchairs for listeners - "velvet armchairs," Perelman points out. "And it was a Sunday afternoon. It was like playing in grandma's living room." And it was with a new drummer Jeff Cosgrove.